Sometimes I make Tofu Lettuce Wraps… and sometimes I make this. 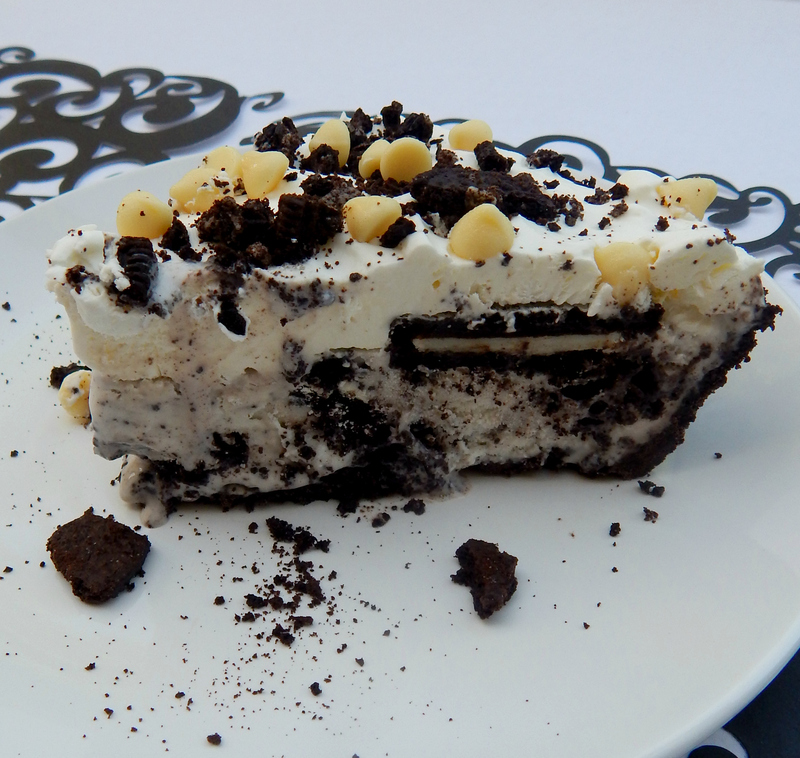 Yes, Oreo lovers all over the world, this ice cream pie belongs to you. 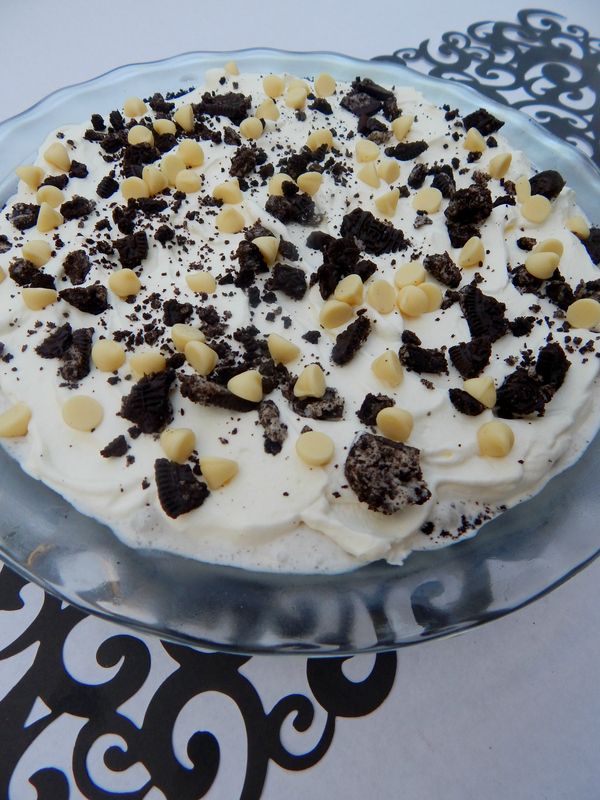 This pie only has a few ingredients, and it is simple to make! 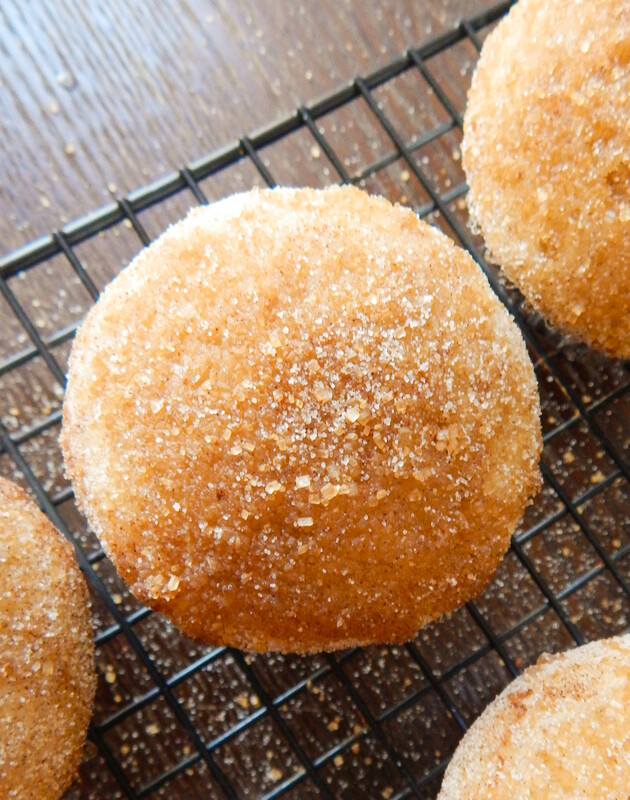 It is rich, and sweet, and perfect for a special occasion or for a boring Monday. Either way. Your family and friends will love you for this, and Halloween is just around the corner too… just sayin’. Just trying to give you a reason to justify making it! 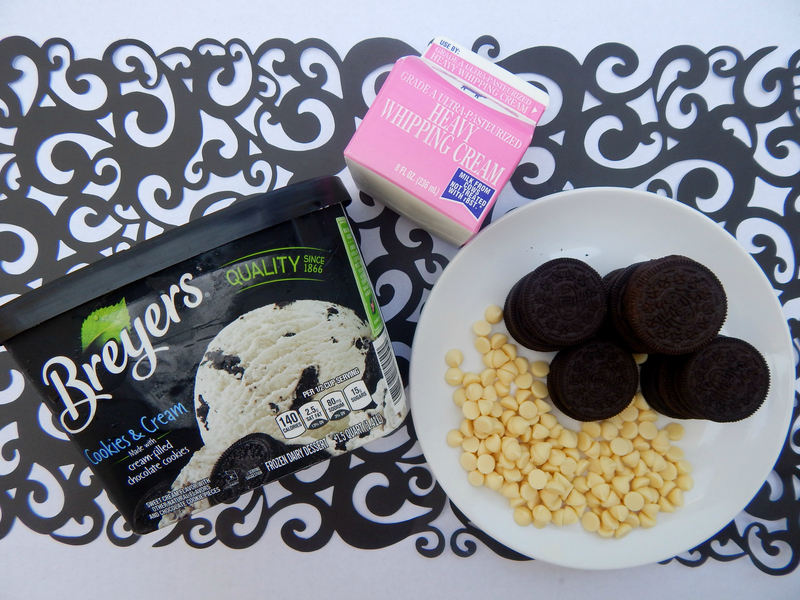 To make the ice cream filling even better, mix in broken Oreo cookie pieces and white chocolate chips. You can get creative here. You could mix in whatever you want or have on hand. Nuts, other types of cookies, dark chocolate… Whatever sounds good to you. Top the pie with homemade whipped cream. It is so easy to make by whipping together heavy cream and sugar, but you could use a tub of Cool Whip if you want to. I use this hand mixer that I love. My mom gave it to me when I moved out of my parents house. Thanks, mom! You need to make the top pretty! 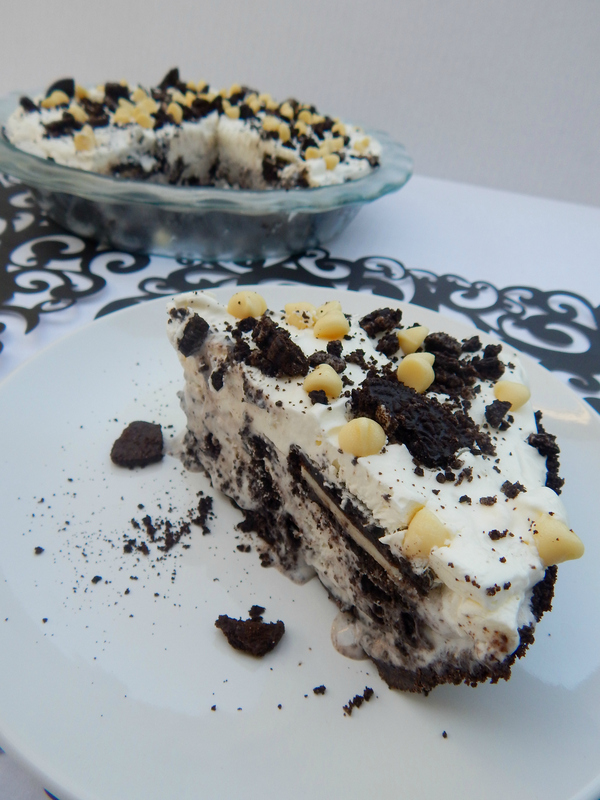 Add more crumbled Oreo pieces and white chocolate chips. Put it in the freezer to let it firm up before digging into it. That part is hard, but you have to do it! 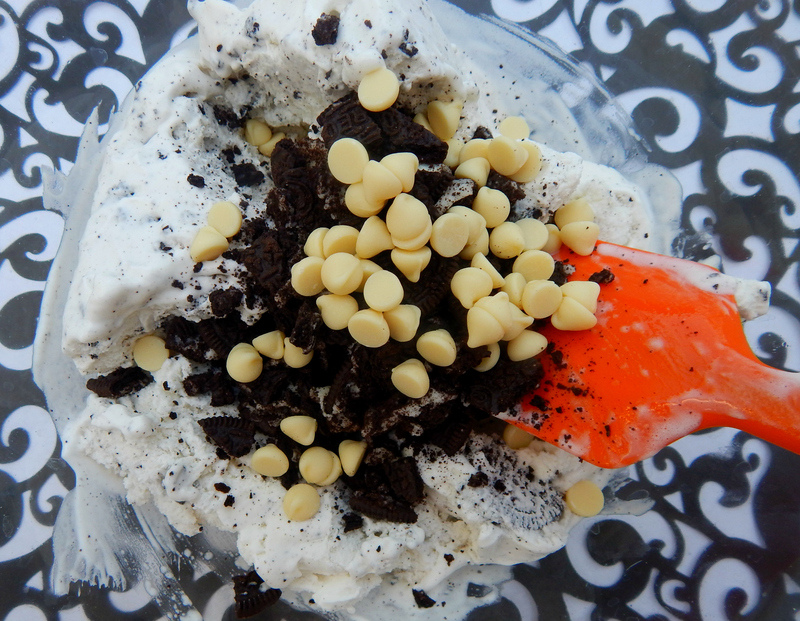 Crunchy cookie crumb crust, thick cookies and cream ice cream, a whole Oreo peeking out at you, soft and smooth whipped cream, sweet vanilla white chocolate chips and extra cookies on top… it’s magical. You will feel like it’s your birthday or something. Oooo yeah, make this more someone’s birthday, way better than cake! 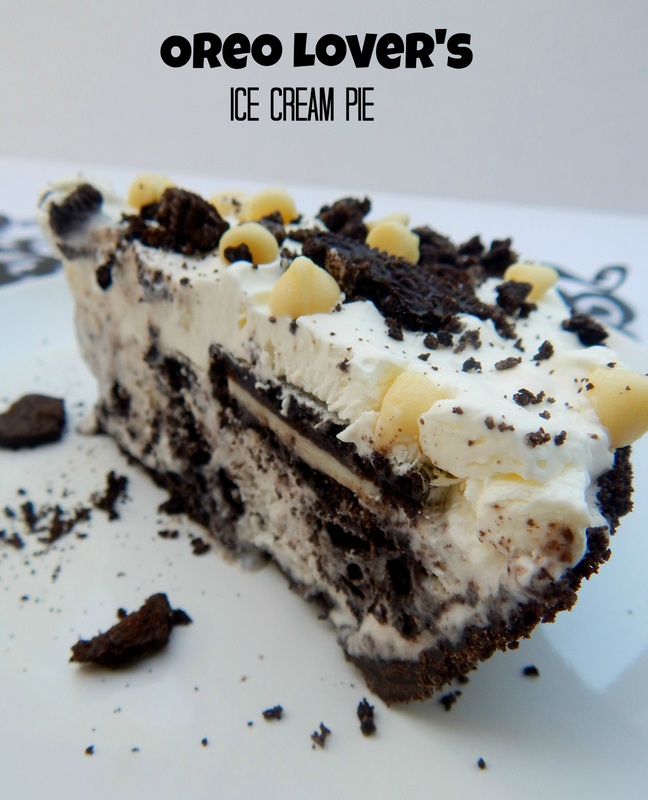 Enjoy and share this pie with the people you love. I did! 1. Preheat oven to 350 degrees. Crush 20 Oreos in a food processor or gallon Ziploc bag into fine crumbs. Combine with melted butter. Add crust mixture to pie pan and press in evenly to form crust. Bake the crust for 3-4 minutes. Remove from oven and let cool completely. 2. Once the crust has cooled completely begin this step. Spoon ice cream into a large bowl. Mix in white chocolate chips and the crushed cookie chunks reserving 1/4 cup of each for the topping. Work quickly to prevent melting. Add the ice cream mixture into the pie crust and spread evenly. Add a layer of whole cookies on top and press into the ice cream slightly. Set the pie aside in the freezer. 3. 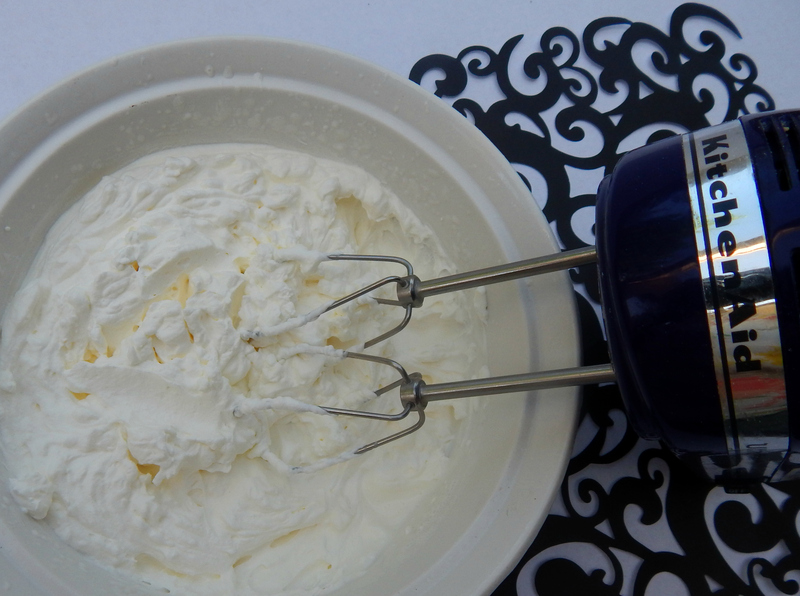 To make whipped cream, use a glass or metal bowl that has been in the freezer for 15-20 minutes before use. Also freeze whisk or mixer attachments before use. The cold items will allow your cream to whip faster. Add heavy cream and sugar to your cold bowl and beat together until stiff peaks form and it reaches the desired consistency. 4. Top the pie with the whipped cream and smoother over the top. Sprinkle on the remaining crushed cookies and white chocolate chips evenly. Return to freezer and let it freeze 1-2 hours. Enjoy! To make cutting slices easier run knife under warm water and wipe off blade before cutting. After the top firms in the freezer store cake covered with plastic wrap or foil.